4K UHD video footage taken by a DJI Inspire 1 drone flying over the Haig Point area of Daufuskie Island in South Carolina. 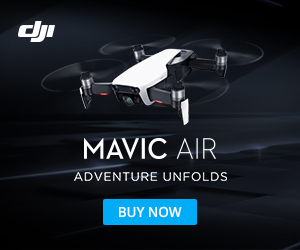 The quadcopter captures the large, magnificent southern homes located around the private Haig Point community and fronting beautiful views of the golf course and surrounding forest area in all of its luscious spring green … with the backdrop of the blue water surrounding the small island. The clarity of 4K also beautifully captures the island sunset. From Wikipedia, Haig Point is a U.S. private 1,050-acre (4.2 km2) community on Daufuskie Island, South Carolina. Commonly referred to just as Haig Point, it is legally known as The Haig Point Club and Community Association, Inc. Founded in 1986 by International Paper, it has been owned by its members since 2001, and member-operated since 2009. Haig Point was ranked as one of the top 100 private golf course communities in the country by Links in the mid-2000s. Haig Point’s Rees Jones Signature Course, has been ranked in Golf Digest‍ ’​s “America’s 100 Greatest Golf Courses” and in Golf Magazine‍ ’​s “Top 100 Courses in the World”.